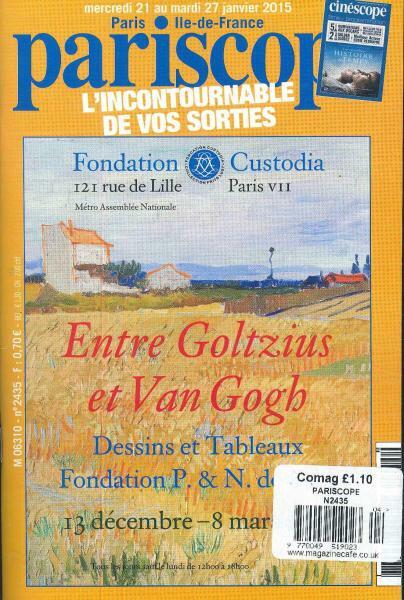 Pariscope is a weekly French magazine which has been published every Wednesday since 1965. It covers everything current in Paris on a weekly basis and provides a burst of information and entertainment. Buy a single issue or subscription to Pariscope magazine. Pariscope vastly covers the news and development from the world of local fashion, food, restaurant, music, art, culture, television, celebrity, beauty, styling, politics, theatre, cinema and radio. It is considered as the best guide for those who live in Paris or are just visiting the beautiful city; the weekly print is a great source for visitors to learn about the local culture, fine dining, craftsmanship, events, and places for you to explore with details on accounts of timing and location. Pariscope is a highly read magazine of Paris and also features the upcoming events and places to explore alongside the detailed schedules it includes. The magazine also contains celebrity interviews and stories of local champions or achievers of Paris. The content is highly personalised to give readers a relaxed and pleasant feeling with the simplicity the publication uses in the text and the lively pictures of beautiful landscape, lifestyle, and lovely people it comprises of.